Beryllonite are high crystal energy stones that have a high beryllium content, which creates a high vibration and amazing crystal properties. 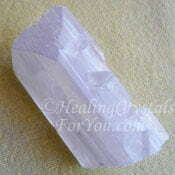 They are very high frequency crystals that are powerful to aid you at times that are very difficult. 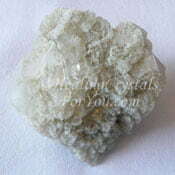 Using this crystal can bring spiritual light into the higher chakras, to aid spiritual awakening. 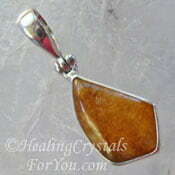 By assisting you to utilize the power of the light, they aid you to overcome unhappiness and embrace well-being. This light is the pure light of Spirit, and it has strong attributes that help you to deal with dark emotions such as fear, hatred and any other type of negative vibration. 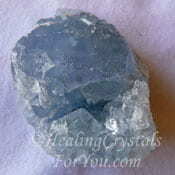 They have excellent metaphysical properties that may aid you to develop psychic visions or clairvoyance, and may assist you to see your guides and the angels. 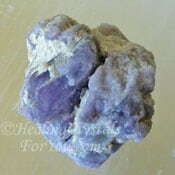 The meaning of this stones name relates to the fact that it has a high beryllium content. 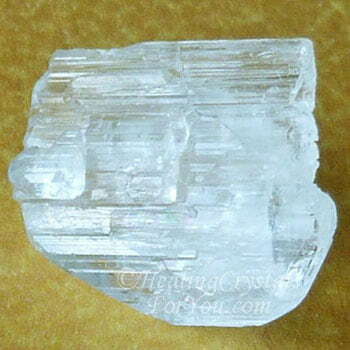 Their color is commonly clear or bright white, but there are also some less common yellow crystals found. 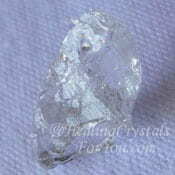 This is said to be a rare stone, but specialist crystal suppliers will usually be able to get it if they don't have it. 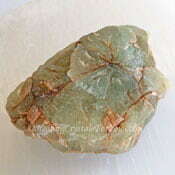 These stones are found in the USA as well as in Finland, Africa, Afghanistan, Brazil or Canada. These crystals resemble tourmaline in that they have the same striations on the body of the crystals, and you may notice that they have a lovely bright lustrous shine. 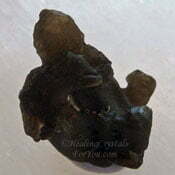 Please note that these photos are magnified and the stones are usually quite small. 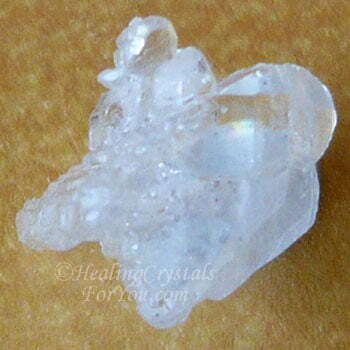 Many stones form as twins, and you can see an example of a Beryllonite twin crystal further down the page. 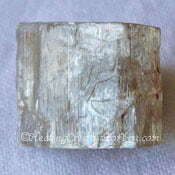 Why Would You Use Beryllonite? 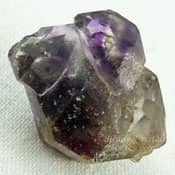 Beryllonite has a very high frequency that strongly resonates at the crown chakra to bring extraordinary Spiritual Light into your being. 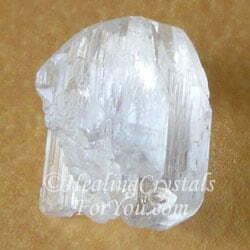 This is a high vibration crystal with a strong level of crystal energy, that has a wonderful vibration that may assist you to release fear that may be creating a dark cloud over your life. 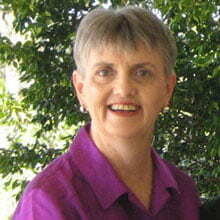 Sometimes life events may seem to be overwhelming and you may need help to overcome the depths of your despair. 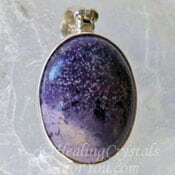 The powerful positive energy embodied in these stones brings an influx of joy, lifting you emotionally and allowing you to be open to new and greater possibilities in your life. This energy may aid you to have a more positive outlook on the world and may trigger a more agreeable good-natured temperament. 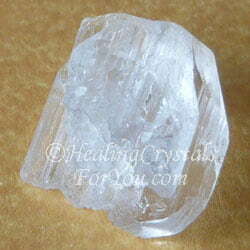 One of the best ways to use these lovely crystals is in meditation. They have a quite powerful energy at the higher chakras, and resonate strongly within both the crown and third eye chakra. 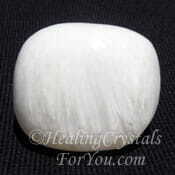 They are potent stones to stimulate spiritual growth, often starting you on a transformational trajectory, and a new way of perceiving the world and your place in it. Their energy may spark a new type of meditation experience and may bring wonderful, quite breathtaking visions that trigger the emergence of clairvoyant abilites. 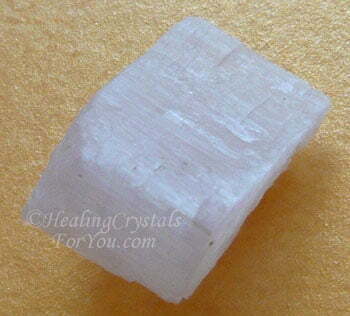 These crystals are powerful to assist you to make contact with spirit guides, including teacher guides who give guidance and direction on a possible path forward. This guidance allows choices of course, but may lead you in a new direction where your spiritual growth goes to a totally new level. 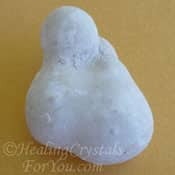 These are wonderful stones to use in meditation on a regular ongoing basis to assist you to feel happier and more peaceful about your life. You may begin to make a connection with angelic beings, who bring counsel from the higher realms that may help you to find solutions to situations that may be concerning you. 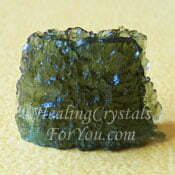 These healing crystals have a number of good healing properties and are especially beneficial to assist with emotional healing. 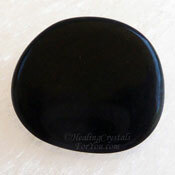 They are strong heart chakra stones that are helpful to release dark emotions such as grief, fear, hatred or despair. 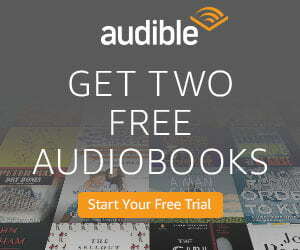 They may also help those suffering with anxiety, depression or stress. 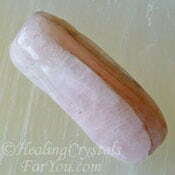 On the physical level these are good stones to boost your well-being and will help you if you are feeling fatigued. 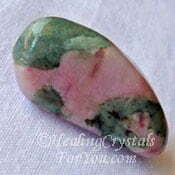 They are helpful stones for healers to use to aid them to see where healing is required. 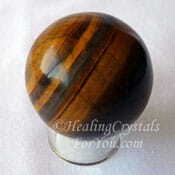 They are known to allow healers to gain awareness of the problems present in the etheric body and to be guided about what is required to assist them. 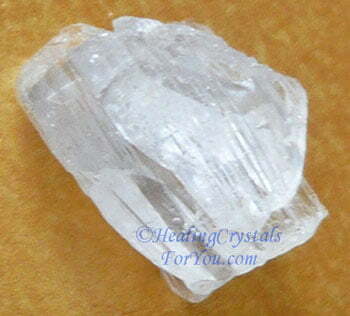 These crystals are known for their action to help concerns within the reproductive area including assisting women going through menopause and helping PMS. "Living with fear stops us taking risks, and if you don't go out on the branch, you're never going to get the best fruit." Sarah Parish. 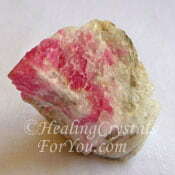 If you are experiencing distress or and need help to let go of the fear, this is a an excellent stone to use. 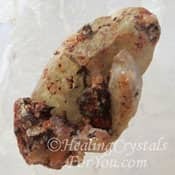 But there are other stones that aid the release of fear including Witches Finger, Tigers Eye, Menalite, Darwin Glass aka Darwinite, Prehnite or Black Jade. 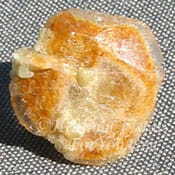 This crystal will combine well with other stones that contain beryllium such as Taaffeite, Tugtupite and Bertrandite also called Tiffany Stone. 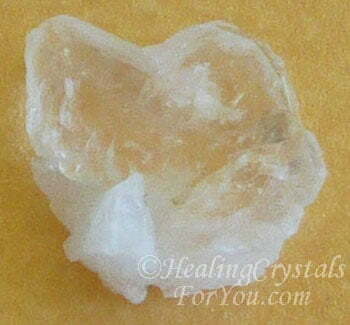 This crystal combines well with other high vibration crystals such as Cryolite, Herderite, Danburite, Amethyst Cacoxenite, Natrolite, Moldavite, Phenacite, Rhodizite, Scolecite, Diaspore and Libyan Desert Glass. 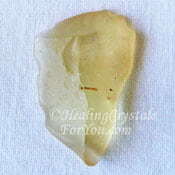 To use it to make a connection with angelic beings, you can either use it alone or in combination with other stones that also help you to do this. 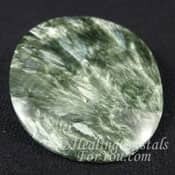 Stones that aid you to connect with angels include the lovely Seraphinite, Kammererite, Celestite, Clinozoisite, Petalite, Amphibole Quartz, Tunellite, Scapolite, Apophyllite or Angelite.